Ruby loves to try on my stuff. Especially the crazy, chunky, waaay-too-big-for-her shoes that have garnered astonished looks from people who can't believe I'm (gasp) wearing high heels while pregnant! The other day, she strutted her stuff in my platform wedges, heart-shaped sunglasses, and silver sparkly cross-body purse. (Trust me - she was rocking those platforms.) My heart swelled with pride. Not just because she is quickly becoming a mini-fashionista in her own way. Because, even though she likes to wear my clothes, she is not afraid to be her own person. She always wants to live life to its fullest and isn't afraid to take risks. Ruby, at the tender age of 2, inspires me. So, as my pregnancy progresses and my baby bump gets bigger (7 months and counting), I am committed to continuing to live my life to the fullest, too. And that includes sticking with my signature style. 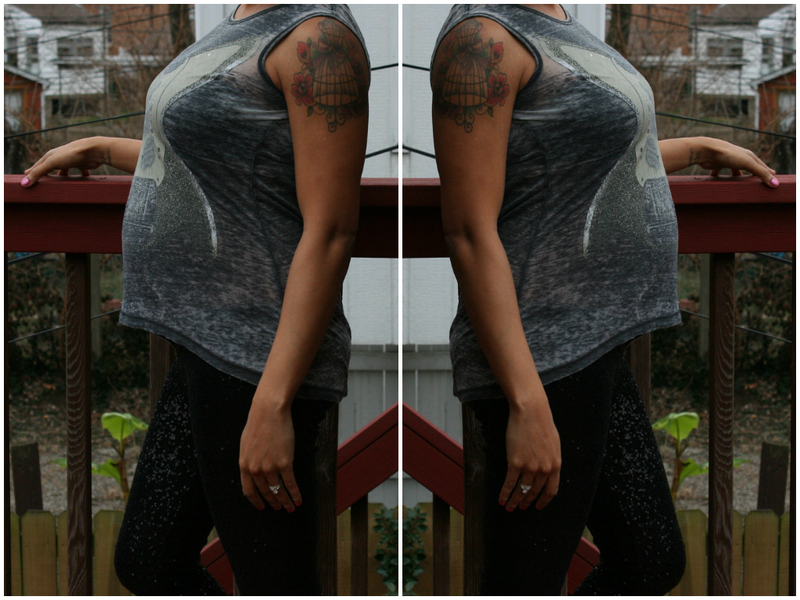 Leggings have become my go-to wardrobe staple for 2 reasons: 1. They are comfortable. 2. Leggings fit nicely under my bump. 3. Leggings hug my legs, unlike my "skinny" maternity jeans. 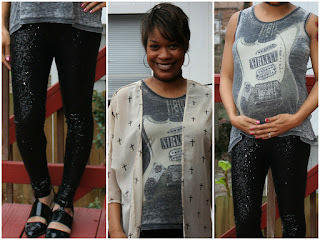 That may just be a problem for someone with bird legs like myself, but leggings nonetheless are something every pregnant woman should embrace. What makes leggings even cooler? 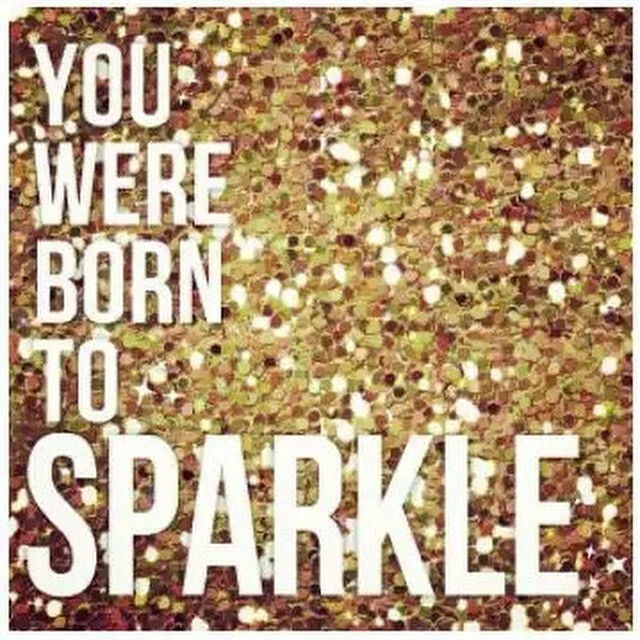 Sparkles. 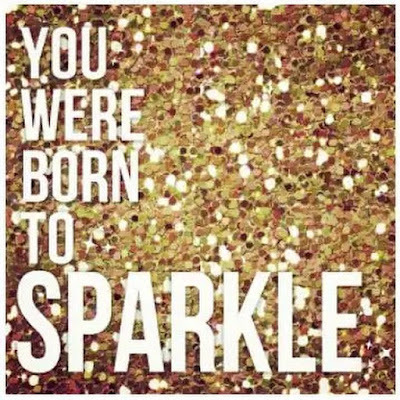 Lots and lots of sparkles. 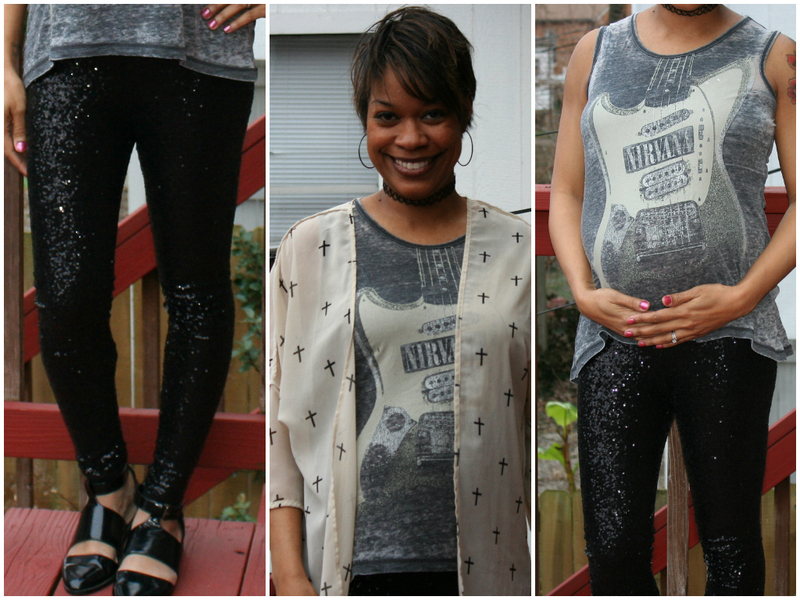 Add a rock tee, a kimono, and choker, and me and my bump are ready to roll! My favorite little photobomber crashed the shoot - and added a mega-dose of cute! Say "cheese!" The leather jacket was (or technically still is) my mom's from the 70s. Someday, I hope one of my lil' gals will wear it.